Mages, ten-man raiding, and other things that are awesome. This + Comment = Profit? You may have noticed that I like cooking things. I also love new recipes. Through a strange turn of events involving a generous friend and a generous husband, I find myself with… one more moonkin hatchling than I actually need. (It’s too much cuteness for one person to contain. I don’t have a screenshot because durr I forgot to take one last night and the servers are down presently). Regardless, I have a moonkin, and I’d like to give him to someone who will love him and squeeze him and call him George (or anything else, that’s fine too). Where do you come into this? It’s a contest! It requires much less work than my previous contest. 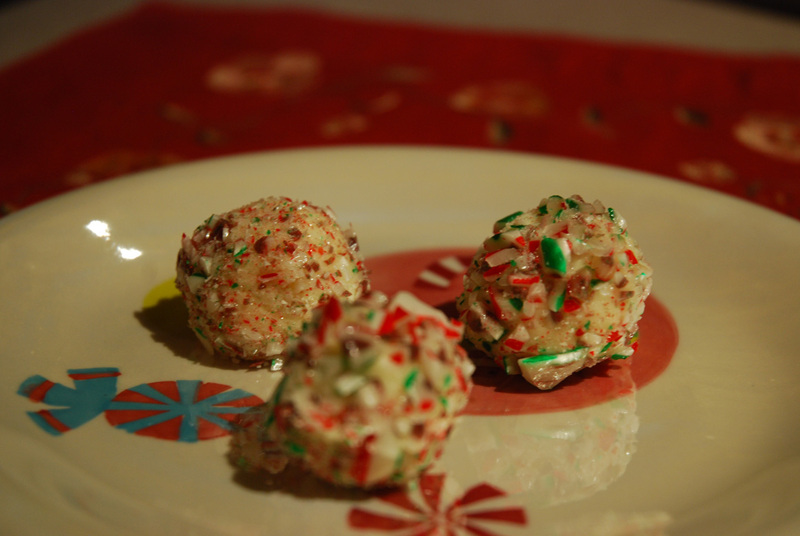 1) Leave a comment on this entry saying you’ll send a recipe. (WoW-ified or not, it’s up to you), and then you can send an e-mail to puggingpally AT gmail DOT com with your recipe. Make sure your e-mail is clearly labeled with the name you commented under – if I’m confused about what recipe belongs to who I might not be able to match them up. 1b) Leave a comment on this entry telling us a memory/story/etc. about your favourite recipe. Please note that by sharing the story or recipe you’re acknowledging that I have your permission to use it in an entry compiling them all. I look forward to reading – I think it’s a grand time for some holiday cheer. You have just one whole day to enter; I’ll close entries at 10 AM Mountain time tomorrow, December 1st. (You can comment on the entry and you’ve “entered,” if it takes a bit more time to send me a recipe that’s fine too). I think that keeping it short and sweet is very thematic! It sounds like some kind of crippling disease, doesn’t it? But it isn’t. The first place I went after the world shattered was Darkshore. 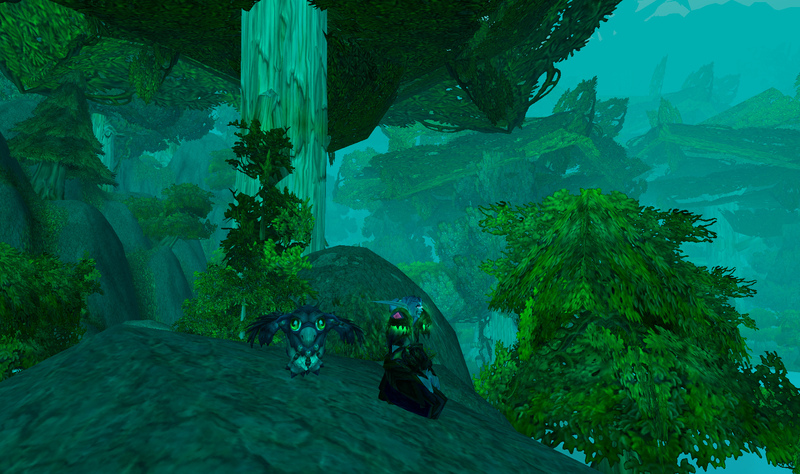 I’d quested through here so many times on my various draenei and night elves. The changes the Cataclysm has wrought are devastating. Once I found out there was a pet associated with a quest in the zone, well – my path was clear. I had to have it. His name is Withers, and he’s similar to the Teldrassil Sproutling with a few key differences. Here’s how you can get one of your own, whether you are Horde or Alliance. For Horde characters, Withers is actually a vendored pet. You can buy him from Apothecary Furrows. He’s located in the cave behind Cliffspring Falls (you can see it on the map). He’s down at the bottom of the cave in his own little room. Be aware that to Alliance he is hostile so he may have been killed recently if you don’t see him but you see apothecary stuff. Wait for him to respawn, he should be back. This is the entrance to the cave. If you are uncertain how to get up here, look for the torches that line the path at the bottom. For those of us who are Alliance, it’s a little more complicated. Withers is awarded from completing the quest “Remembrance of Auberdine,” but you can’t unlock that quest until you do many, many more. I made a map that outlines generally what I did. Keep in mind that it’s hard to tell exactly what was required. I suspect that the quests to the far south (marked on the map) were not required, but they are awesome quests and I recommend you do them regardless! If anyone does this and tries to proceed without first doing those quests at Eye of the Maelstrom, please let me know if you were able to get Withers regardless. *Edit: I had a helpful reader let me know – the quests at the Eye of the Vortex are definitely not required to open the Remembrance of Auberdine quest, so you can skip them over if your only goal is to get Withers. Quest hubs are marked in blue. You will begin by questing in Lor’danel. When I wrote this last night this wasn’t there, but a helpful person on Wowhead has listed precisely all of the required quests here. You can refer to that list as you proceed, or just take a more casual approach as you go! 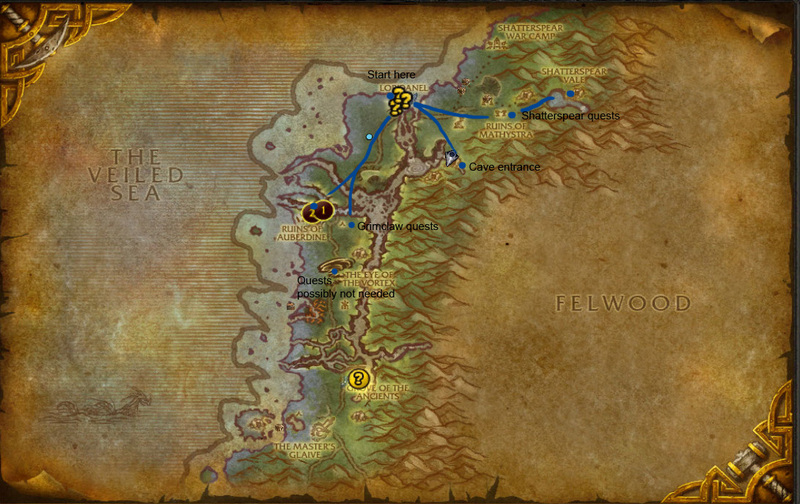 Lor’danel is where the flight point from Darnassus goes now, so it’s easy enough to get here. Some of the quests don’t seem immediately related, but are. There’s a worgen who has a fishing quest that used to be offered by a dwarf – I doubt it’s necessary to get Withers, but if you do it you do get 250 Gilneas rep. Do the rescuing and provisions quests and continue on to the Buzzbox quests. Unlike the previous Buzzbox quests, they don’t take forever and lead you all over the map. This chain will have you wind up in the same cave that the Horde access just to buy Withers. Another breadcrumb quest will lead you down to the Ruins of Auberdine and outside the ruins to do some quests relating to Grimclaw. Continue doing all of these quests (do the Auberdine ones while you are nearby) before completing them and heading back to Lor’danel. A hint: if you complete the Grimclaw quest chain first it will end up helping you throughout the rest of Darkshore. I don’t want to give away any spoilers except to say that I chose the stag – and it gives a 10% speed boost in the entire zone. Not “for an hour,” or “while you’re on this quest chain” – it gives you a speed boost anytime you are in Darkshore from then on. It was useful for the rest of my questing! I don’t want to give away any more of the happenings in Darkshore. These quests are amazing, in some cases heart-wrenching and definitely hit home for me given how much I liked Darkshore. Don’t just rush through to get Withers, take your time and enjoy them. Ultimately your efforts to aid the citizens of Darkshore and uncover some mysteries will lead you to the Ruins of Mathystra where you will be challenging the Shatterspear trolls. When you’re at this point you’re near the end! Continue along with these quests and once you are finished with them, Cerrellean Whiteclaw will have the Remembrance of Auberdine quest for you, and one of the rewards is Withers. I’ll probably be going through these quests again with my druid and hope to add some clarification about which quests are mandatory and which are not – but until then, this gives a rough guide of what’s necessary to get the little guy. Feel free to ask any questions and I’ll answer them as best I can! His name is Withers because he starts out HUGE – up to my hips as a draenei – and he will slowly shrink to “normal” non-combat pet size if he is away from water. Re summoning him returns him to his original large size, and if you take him near any body of water he will drink it and grow. More importantly than any of that, though, is that he’s a reminder of Auberdine for me. Every time I look at his sad little face, I’ll remember the Kaldorei of Auberdine and Lor’danel, trying to maintain an outpost in their dark and foreboding ancestral land. These aren't actually my kids. Especially the pale one. In a society where headlines tend to favour the sensational, you don’t hear much about the good things video games can do. We’ve all seen news articles and television features about the negative effects of video games. A search on Google for just that yields no shortage of results. As an avid gamer (and someone who has been an avid gamer from a very young age) I think it should come as no surprise that I’m going to go the other way with this. First of all, I feel I should explain my point of view. I’ve been playing video games since Frogger was a big thing. I saved my money from my paper route to fund our first Super Nintendo. The plain old NES belonged to my brother – and I hated that he got to keep it in his room! I had to get his permission before I could play Bubble Bobble with my Mom. I spent hours watching him play Zelda. Later, I owned a Playstation, a Playstation II, and then a Playstation III. I played the old Sierra Games (So You Want To Be A Hero?) I don’t believe that playing video games has made me a violent person. It has made me a more imaginative person, and it definitely helped my hand eye coordination. Criticism of people who play video games goes hand in hand with other tropes about loners, nerds, geeks – social deviants, aberrant, homely people sitting in basements because they can’t interact with “the real world.” At its core, most gaming is a solitary pursuit, instinctively mistrusted by folks who think you’d be better off joining the local bowling league or “getting some fresh air.” I don’t subscribe to the notion that some hobbies are “better” than others. They are just different. Obviously moderation is the key, here. When it comes to children, one criticism leveled against video games is that kids should be engaged in more physically active pursuits. On the one hand, I agree. Game systems like the Wii that involve movement are well-suited to kids and can help combine those two goals. But don’t forget, I grew up in an extremely Northern climate. When it’s minus fifty degrees Celsius outside, you don’t send the kids out to play. Winter lasts a really long time. My brother and I fostered a lifelong love of video games, and I’m going to tell you why that’s not a bad thing. Obviously this is dependent on the age of your children. You don’t just want to set your kids free to talk to any stranger they meet on the internet! Game responsibly, people. But socializing, as you know, is a major aspect of any MMO. I have known people who played WoW with their appropriate-aged children, and either joined or created a family-oriented guild. 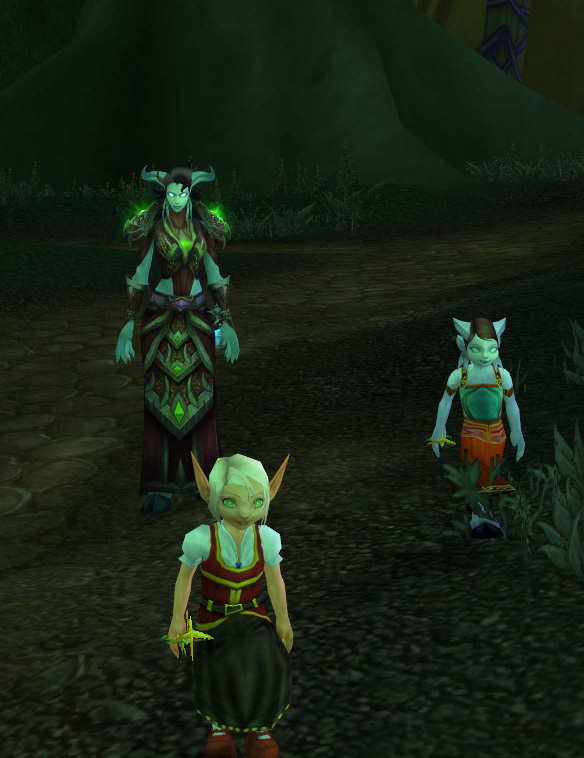 There’s a story on the Warcraft site about a grandmother who plays with her kids, and her grandkids too. This touches on a recent Breakfast Topic over at WoW Insider about using WoW to keep in touch. I know that I read recently about a grandmother who was playing with her grandkids over a long distance. Speaking as someone whose grandparents lived on the other side of the country, I know it can be tough when you don’t get to see them and really, it’s as if they are strangers. As long as parents are keeping an eye on how the game is being used, I can absolutely see it as being a great tool to interact and spend time with family and friends. It’s cheaper than a phonecall and cooperative, too. Anyone who has read some of my pug horror stories knows that some people playing this game aren’t necessarily poster children for Ms. Manners. However, think of the last time you encountered someone who you thought exhibited bad manners. I’m a firm believer that most social behaviours are learned ones, whether you’re learning them in real-life or in a virtual world. If someone rudely Needs on loot or makes an unsavory remark and the rest of the group reacts in a civil but disapproving manner, there’s a message being sent. Even though you might think the teenagers playing this game don’t pay attention or don’t care, I might be a hopeless optimist to think that some do care, and some do notice. I meet many more polite and friendly people than I do real jerks. I’m not even convinced that the jerks I meet are actually young people. Especially if you play along with your child and demonstrate these positive behaviours, MMOs like WoW are constantly providing opportunities to learn about fairness and sharing. Jimmy lost the roll on that sword? Well, better luck next time, but that’s fair. Everyone in the group worked to earn that loot. Another time he will win something that he wanted – and the group will congratulate him and he can thank them, graciously. Hey, it’s not just reading and math games that teach lessons! This one isn't mine either. They're a bit gawky when they're young, aren't they? I don’t know about you, but I wasn’t much of an athlete when I was growing up. I grew tall very quickly and it took me a few years to coordinate everything. (Read: stop tripping over my own feet). I did eventually participate in some sports – mostly track and field. My point is, while I’m sure WoW has its share of natural athletes that play – it might be fair to say that on average most players might not be. (Notice there’s many qualifiers, because I’m sure Awesome Paladin Tank who is ALSO nearly a pro football player will comment! Of course, I’m generalizing.) The point is, that many kids who might be drawn to MMOs may not be naturally inclined to team sports. Like me, they may have had an awkward stage. Or, to be perfectly honest, just not be much “into” sports. I wasn’t even good at group projects or any other kind of group work. They always frustrated me. I wanted to do things by myself – this held true even into my college years. I think it wouldn’t be an exaggeration at all to say that end-game experience in Warcraft has given me a new found appreciation and facility for working with others. Other people may eventually get this of necessity from a job or other task. Perhaps I just came to this understanding late in life – but I have found that working with a group of other people can be a great deal of fun. It was a skill I had to learn – and I think that it’s a valuable one. I wish I’d figured it out at a younger age – maybe if I’d been playing more social-based video games, I would have! I remember reading about Tam’s guild in Never Never Land. The majority of the guild was between the ages of 16-19, generally. I don’t remember what I was doing at that age (err I was on the yearbook committee?) but that’d be the closest thing I ever came to the elaborate HR Resource Management game that is running an (apparently successful) guild in WoW. Whether or not Tam actually stuck around, I think it’s still a pretty amazing testament to what a positive thing the game can be. These are teens who were scheduling raids, making sure everyone showed up to raids, leading those same raids. I think that’s fabulous! Whether you are leading them in a game or elsewhere, that’s a valuable experience. Tam also mentioned that these folks had some of the strictest rules about respecting other people in the guild and not making belittling, racist, or sexist jokes. Even better. At one point in our raiding career, Voss and I were raiding with a paladin and his two young brothers, a rogue and a mage. They were very much younger brothers to the paladin’s twenty-something, being eleven and thirteen. They seldom spoke in Vent at all, and he helped make sure that they knew what their jobs were. His whole family played Warcraft so his mother would listen in on our raids from time to time. (Initially, to make sure that we weren’t crazy people). I’ve never known raiders more polite and appreciative than those two fellows. They were never greedy about loot. They were always on time. They never failed to thank us at the end of the raid. For the time we raided with them I think they were afforded an opportunity to raid with adults and their brother in a respectful environment – and they definitely proved that they’d earned the right to be there. There are some who might scoff at “accomplishments” in a video game. I don’t think any of them are reading here, though. Just recently I wrote about how thrilled I was to finally down Firefighter with my guild. We all had a rush of happiness and pride after killing The Lich King. That sense of setting a goal, and achieving it – whether it’s a holiday achievement, killing a rare spawn, or even just to hit max level is something that people of any age can appreciate and take pride in. Setting a goal and then figuring out the steps that will lead you to it is another valuable life skill. Obviously it isn’t one you can learn only from video games or MMOs, but it’s definitely a powerful incentive. The same young men I mentioned previously, who raided with their older brother – I remember one of them had more pets than anyone I’d met previously. He was especially proud of his Kirin Tor Familiar. This is a pet that takes a significant investment of time and planning to get! I still don’t have it with my own main! (I am just one book away, though. Just one…more…book!) I don’t think anyone held his hand through that achievement. He must have looked it up on Wowhead or perhaps Warcraftpets.com. to find out where the books would spawn. Maybe he discovered the Bookclub channel on his server and joined it to coordinate with others. In any case he was definitely taking initiative to meet that specific goal, and he was rightfully proud when he did. I like to think that he applies the same spirit to school projects or finding ways to raise money for a new bike. Kids that play video games are clearly violent malcontents who will amount to nothing in society. Or, it could be that they are learning things about team work, research, setting goals, and social interactions through interacting with their peers and adults in a cooperative environment. Who’s to say? I’m sure that many “studies” have “proven” the negative effects of video games time and time again, but until then, society at large will forgive me while I remain politely skeptical! What do you think? did I mention that draenei are awesome? who would have guessed I'd need a warlock tag?